QuestIt - A productivity app, a time tracking app, a game, and a diary! 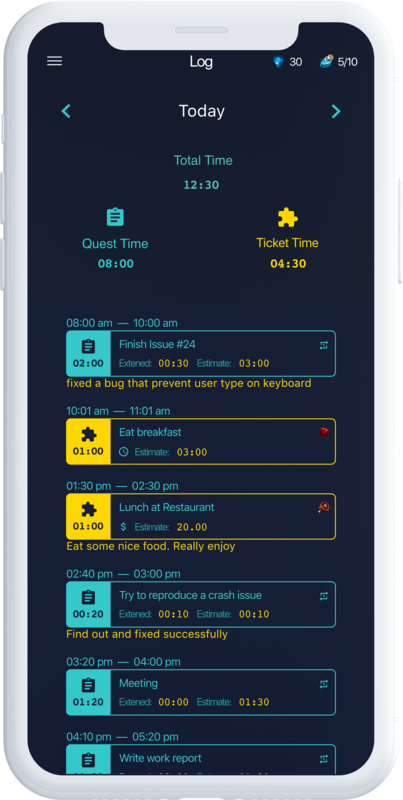 QuestIt is a productivity app, a time tracking app, a game, a diary, etc. 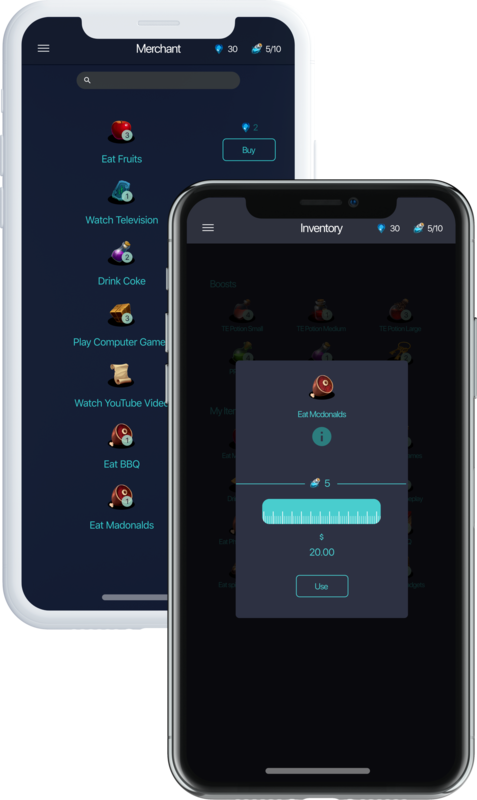 You tell us what you need to do, what you want to play, and we will motivate you finishing the task, giving you rewards after you finished each task so that you can use them to earn your time to play. Quest? No, Its Your Task! 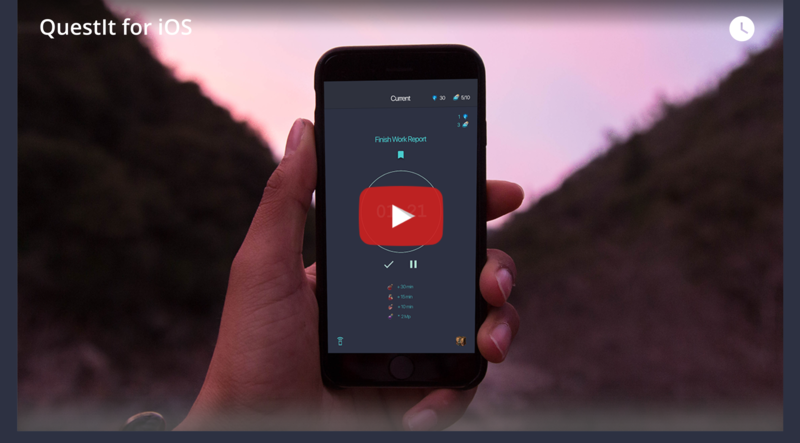 Its a productivity app, and a game. Create quest for yourself, finish it with in your estimates and receive “Diamonds” and “Mana” and open the chests to try your luck. After finishing the task, you will get rewards. Use them to buy tickets in merchant. They are tickets for you to do real life entertainments. Enter what you enjoy playing and let QuestIt to make sure you won’t waste time on that. Since your everyday activity include working and playing, QuestIt keeps all your time entry inside the log. You can come back to app choose a date to view what you did and how long it took. App also contains many other features. Download app now from App Store. Its FREE! NO ADS. We are also adding new feature every two weeks. Update is also FREE! Ever wonder what we are doing? What feature will be include into future updates? When we release next update? Visit our development board.